Your time is valuable and most likely accounting is not your specialty. That’s why we provide training, oversight, and ongoing support. 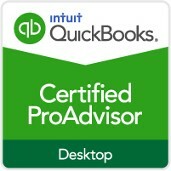 New to QuickBooks? 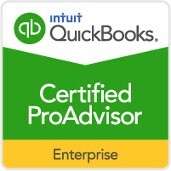 Already Using QuickBooks? Although QuickBooks has simplified the accounting process for you, no accounting package can be operated properly without sufficient understanding of its features and functionality. Although QuickBooks is designed for the ordinary person to understand, it is important for the initial installation and set up to be done correctly in order for your future financial information to be accurate. Possibly save hours of frustration by allowing us to help you. Once QuickBooks is set up and working properly, we can train you and your employees to properly operate QuickBooks, specially customized for your business. Whether you need to prepare your books for tax time, a financial review, or just need to clean up some problem areas, you’ll get your QuickBooks running smoothly again with a Tune-Up. Just don’t have the time or the staff to properly maintain your QuickBooks accounting? Let us help with ongoing bookkeeping and accounting services. 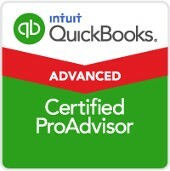 Contact Barbara at (239) 997-0990 to keep your books in great order with her QuickBooks™ and bookkeeping services.